A recent international news on Bangladesh was presented in a very positive light – the world’s largest clinical trial of a cheap oral cholera vaccine will be conducted in Dhaka, which can save tens of thousands of lives every year. The reports do not contain much except that the study involves nearly 250,000 people near the capital. This will be a cheap alternative to the currently available vaccines and two-thirds of the 250,000 people involved in the trial will receive two doses of the Indian-made vaccine and the rest will receive a placebo. Except for Prothom Alo, I did not find the report in any other newspaper. In Prothom Alo they published the news after one day of the launch (18th February, 2011) and it was placed in one corner of the 3rd page. If you follow the above links you will notice that international media covered the news on the day of launch or before. I did not find anything in the health ministry website, of course I should not have expected that. 2.1. The name of the vaccine is ShanChol, made by Shantha Biotechnics of India, a subsidiary of Sanofi Aventis. 2.2. The health authority of India approved it, but it was not approved by WHO. The worry is that the Indian government has approved the use of the vaccine but did not approve plans to conduct national campaigns with it. The effectiveness of ShanChol reduces much within 2 years, then a booster dose is required. In a country like Bangladesh where information is poorly managed and people are not aware about health issues, how can the booster doses be ensured, the question remains. 3.1. First question, why this significant trial of an Indian pharmaceutical company was not carried within India? It doesn’t sound good that an Indian vaccine is being trialed in Bangladesh, when India refused to test this in its soil. Is India a Cholera free country that it doesn’t need such trial? ৩.৩. দেশের সংবাদ মাধ্যমে আর জড়িত প্রতিষ্ঠানগুলোর ওয়েবসাইটে এই বিষয়টি প্রকাশ না করাটাও বেশ বিরক্তিকর। এটা কি বাংলাদেশি মিডিয়ার উদাসীনতা? নাকি এটা ইচ্ছে করে গোপন রাখা হয়েছে? 3.3. This is really irritating that the newspaper reports and the websites had a news blackout. Is this negligence of the Bangladeshi media? Or it was willingly suppressed? ৩.৫. ভ্যাকসিন ট্রায়াল নিয়ে সারা পৃথিবীতে কেলেংকারি কম হয় নি। বিশেষ করে প্ল্যাসিবোর ব্যবহার নিয়ে সবসময়ই বিতর্ক আছে। তবে আজকাল মানুষকে সাবজেক্ট হিসাবে ব্যবহার করা হলে ন্যুনতম কিছু নীতিমালা পালন করা হয়। সাবজেক্টের কাছ থেকে সজ্ঞান অনুমতি নিতে হয়। [..] প্রশ্ন হলো, ভ্যাকসিন ট্রায়ালের ক্ষেত্রে এরকম এথিকস কতটুকু অনুসরণ করা হচ্ছে? মীরপুরবাসীরা কি জানেন তারা একটি পরীক্ষার সাবজেক্ট? যে ৮০ হাজার লোক প্ল্যাসিবো পাবেন, তারা কি জানবেন যে তারা কনট্রোল গ্রুপের সাবজেক্ট মাত্র? নাকি আমাদের দেশের সরকার আর অন্য দেশের ভ্যাকসিন নির্মাতারা আমাদের ভালোটা আমাদের চেয়ে ভালো বোঝেন, তাই এসব খবর মীরপুরবাসীদের না জানানোই ভালো? 3.5. There were many controversies in the world regarding vaccine trial. Especially the use of placebo always ushers in debates. Now-a-days a guideline is followed whenever a human subject is used. The subject has to approve this in sane mind. [..] The big question is what guidelines are being followed for the vaccine trial (in Dhaka)? Whether the residents of Mirpur know that they are subject to a trial? Those 80000 people who will receive only placebo, will they ever know that they are the subject of a control group? 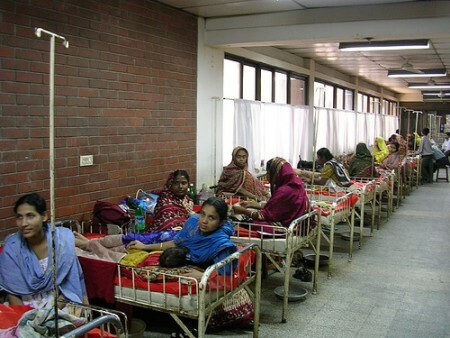 Or whether the government and the foreign pharmaceutical knows better, so the Mirpur residents need not know? Basically, most vaccines have to stay cold so bacteria and other microbes don’t grow in them. To stay cool (and safe) from the factory to the patient, vaccines require an effective cold chain. This isn’t a problem in most of the U.S., where vaccines are shipped cold from the factory, in refrigerated containers, and kept cool at clinics and hospitals. But it may be a challenge in places in like Bangladesh where infrastructure is not as developed. The result is either spoiled vaccines or vaccines that don’t make it to rural, isolated populations. In USA, development of a new drug will cost one Billion dollar. Naturally they went to a place like India to develop the medicine. And Bangladesh has been selected as a guinea-pig. The terms like Citizens Rights or Human Rights are not applicable to us. Now the big question is who will answer the above questions. Also Published in Global Voices Online.